In the past decade, the UK has become one of the most attractive destinations for setting-up Tech businesses. Easy access to global consumers and business partners, fewer restrictions on doing business, tax reliefs and access to investment funding and a pool of talented professionals have made London a leading digital hub. Overseas Entrepreneurs heading to the UK to grab their share of the dynamic digital market will be pleased to learn that the UK immigration regulations contain provisions designed exactly to cater for their objectives. If you would like to invest in the UK by setting up, joining or taking over, and being actively involved in the running of one or more businesses, the Tier 1 Entrepreneur visa is the most suitable route to secure permission to stay and do business. For a successful visa application, an applicant must meet a number of requirements of the UK Immigration rules. Below we summarise the general provisions specific to the Tier 1 Entrepreneur visa category. However, care must be taken when preparing the visa application and we suggest that you seek professional advice to maximise the chances of a favourable visa decision. If some of the monies have already been invested into a UK business within 12 months prior to the Tier 1 Entrepreneur visa application, the invested amount can be used to count towards the required level of funding. Up to two people can share the same investment fund with one other and form an Entrepreneurial team. Both individuals will need to meet all other requirements of the Tier 1 Entrepreneur visa category. Entrepreneurs must show to the UK Visa and Immigration authorities that they are genuinely intending to establish, take over or join one or more businesses in the UK and make the required investment of the funds which are genuinely available for this purpose. Furthermore, applicants must not intend to take employment in the UK other than working in their business. It is now a legal requirement to produce a comprehensive business plan in support of the Tier 1 Entrepreneur visa application. In addition to the business plan, the authorities will look at the personal circumstances of each individual entrepreneur to assess suitability such as their education, professional experience, immigration history and previous activity in the UK, credibility of a business plan, source of funds and market research. It is not uncommon for an applicant to be called in for an interview with an Immigration officer as a part of the application process. The UK government believes that ability to speak English to a competent level promotes success in the UK labour market and assists in integration into the UK. Therefore, applicants under the Tier 1 Entrepreneur visa category must show that they have a good knowledge of English. £945 – for those applying to extend their stay in the UK. Initial Tier 1 Entrepreneur visas are issued for 3 years and 4 months to successful applicants who applied from overseas. The status can be extended for another 2 years from within the UK, providing the conditions for extension are met. On completion of 5 years of residency and subject to compliance with the conditions of the Tier 1 Entrepreneur category, visa holders can apply to remain in the UK indefinitely. the business generated an income of at least £5 million. 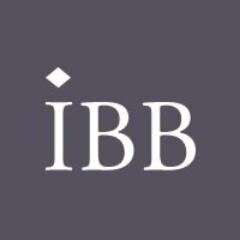 At IBB Solicitors, our experienced legal experts can provide advice on Tier 1 Entrepreneur visa applications, company formation and governance, corporate and commercial transactions, and all other legal aspects of setting up, joining or taking over and running a UK business. For more information please visit http://www.ibblaw.co.uk/service/immigration or contact us today on immigrationteam@ibblaw.co.uk or 03456 381381 to see how we can help you with your immigration matter.